A magical, exquisite beach resort stretching over a long, natural shoreline. The site's exceptional location and private beach services set it apart from other beaches in Eilat. A magical, exquisite beach resort stretching over a long, natural shoreline. The site’s exceptional location and private beach services set it apart from other beaches in Eilat. Dekel Beach Eilat offers a children’s activity area, a Bedouin tent and a floating tanning raft. 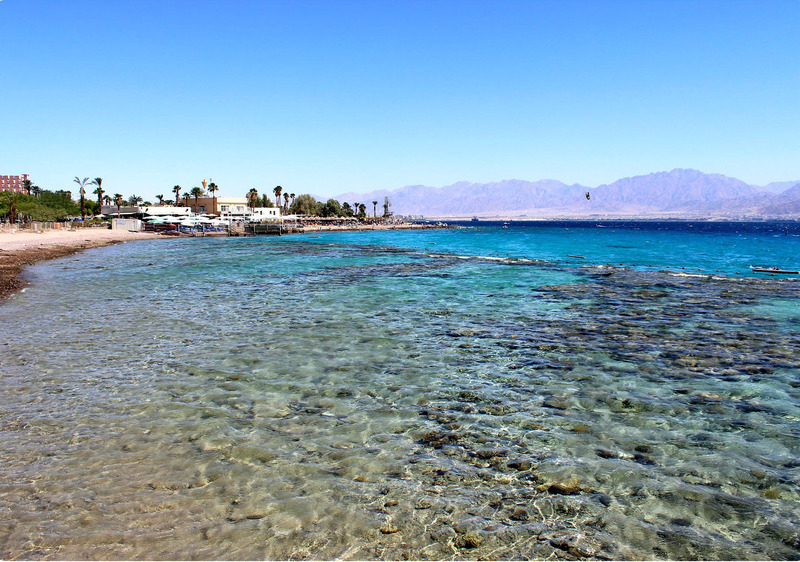 Dekel Beach Eilat provides beautiful scenic boardwalk walks to the waterline. Bathers at Dekel Beach Eilat, may use chairs and parasols free of charge, but sunbeds cost fifteen NIS, which includes afree drink. A buffet is located on the beach offering a variety of foods and bringing your own food to Dekel Beach Eilat is strictly prohibited. The Showers and toilets are clean and neat, and visitors are offered plenty of parking. The area can be rented for special events.